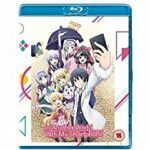 4 stars for this gentle and well written slice-of-life anime. 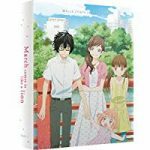 March Comes In Like a Lion is based on the ongoing manga series by Chica Umino (Honey and Clover). It is adapted to anime by studio Shaft (Bakemonogatari, Puella Magi Madoka Magica) and directed by Akiyuki Shinbo (Negima). Bullets, Bombs, Tanks and Much Much More. 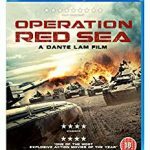 This is the must see conflict film of the year! 4 stars of light-hearted harem sword and sorcery anime. In Another World With My Smartphone is based on the Japanese light novel series written by Patora Fuyuhara and illustrated by Eiji Usatsuka. It is adapted to anime by Production Reed and directed by Takeyuki Yanase. 5 stars of hauntingly beautiful animation. 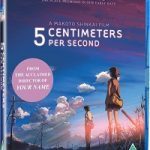 5 Centimeters Per Second was originally released in 2007 and is now available on Blu-ray in the UK for the first time courtesy of Manga UK. Magic and Heirs to Thrones. 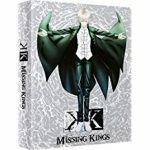 K continues under the direction of Shingo Suzuki (Coppelion), now one year after previous events the characters deal with the aftermath of the Island Academy Incident and the massive crater and the clock tower occupation. 5 star action, the desperate race to save Ace. 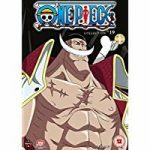 One Piece is a long running anime based on the serial in Weekly Shōnen Jump magazine written and illustrated by Eiichiro Oda and telling us of the adventures of Monkey D. Luffy and the rest of his crew, the “Straw Hat Pirates”. It is directed by Kônosuke Uda and produced by Toei Television Production(Dragonball Kai).